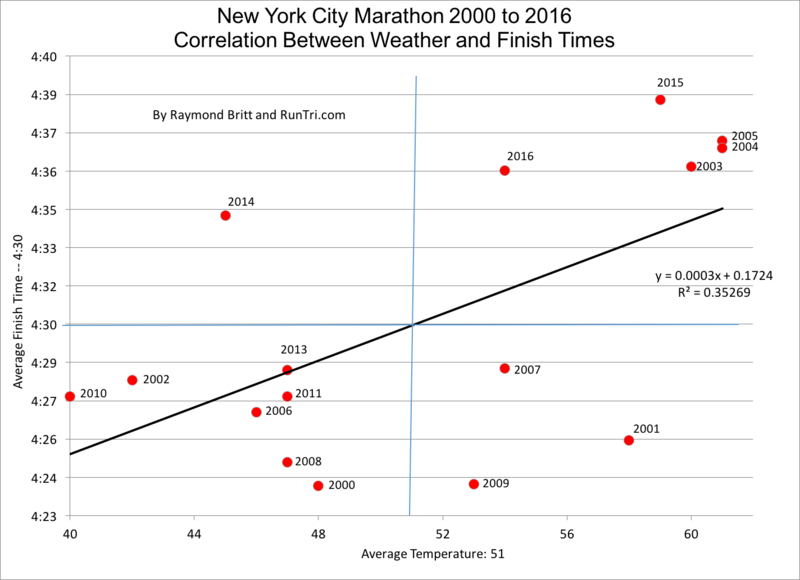 What weather conditions will runners face while running Sunday's New York City Marathon? And to what extent can different temperatures impacts results? According to our analysis of New York City Marathon Results and weather between 2000 and 2016, race day weather clearly can influence your overall performance. For more, see our complete New York City Marathon Race Coverage.